Bathing your patient is more than a basic task. From conducting a skin inspection to addressing the skin’s bioflora, the patient bathing process is a vital nursing intervention. 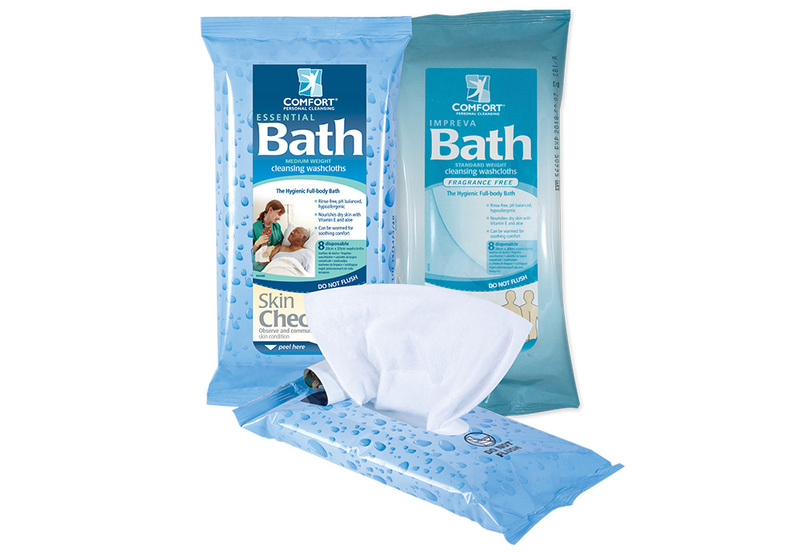 Comfort Bath Cleansing Washcloths can help standardize your patient hygiene protocol, reduce steps, and eliminate basins with rinse-free, full-body skin cleansing and moisturizing. REFERENCES: 1. Anaissie EJ, Penzak SR, DIgnani C, Arch Intern Med. 8 Jul 2002;162(13):1483-92. 2. Shannon RJ, et al., J Healthcare Safety, Compliance & Infection Control. Apr 1999;3(4):180-4. 3. Clark AP, John LD, Clin Nurse Spec. May-June 2006;20(3):119-23. REFERENCES: 1. Centers for Disease Control and Prevention. Guidelines for environmental infection control in health-care facilities: recommendations of CDC and Healthcare Infection Control Practices Advisory Committee (HICPAC). MMWR 2003;52 (No. RR-10):5,14. 2. Meets standards set by the United States Pharmacopeia (USP) 3. Larson EL, et al., Am J Crit Care. May 2004;13(3):235-41. Comfort Bath’s pH mirrors that of healthy skin, and our dermatologist-tested formula is proven gentle and non- irritating.5 The ultra-soft, thick washcloth delivers the right amount of cleanser and moisturizer to the skin. REFERENCE: 5. 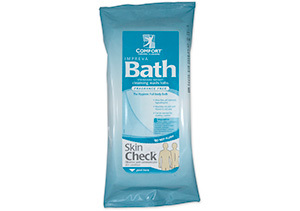 West DP, Scheman A, 21-day cumulative irritancy patch test: Comfort Bath® Cleansing System. Northwestern Univ Dept of Dermatology, Chicago IL,May/June 1998.
catheter-associated urinary tract infections. Poster presented at APIC 2010, New Orleans, LA, July 2010. 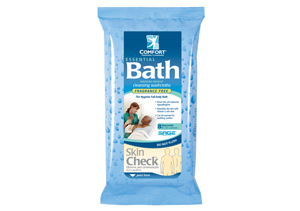 Comfort Bath Cleansing Washcloths—the most trusted name in basinless bathing—has set the standard for total body cleansing and moisturizing. Utilization tracking feature allows you to see how many packages are being used. The warmer automatically records when a package is removed for use. 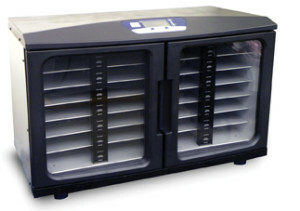 The adjustable temperature range of 38°C to 52°C (100°F to 125°F) helps you warm products to protocol specifications and patient comfort. 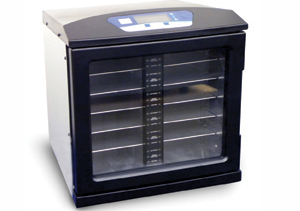 Each package is warmed to a consistent, reliable temperature. Meanwhile, lighted indicators automatically show which packages are warm and ready, which ones are not, and which ones should be taken first. 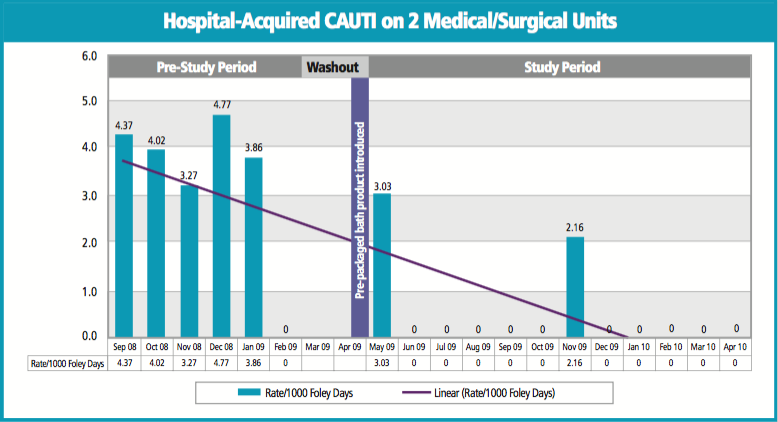 Click for a complete listing of clinical evidence to support your efforts in reducing risk factors for CAUTI.